My garden is full of foxgloves in summer. They grow like weeds - and I let them. In my childhood, I remember my father used to pay us kids 1d per foxglove (with its root!) that we pulled up in their garden - but unlike him, I love foxgloves and so do the bees. They really make an English cottage garden. 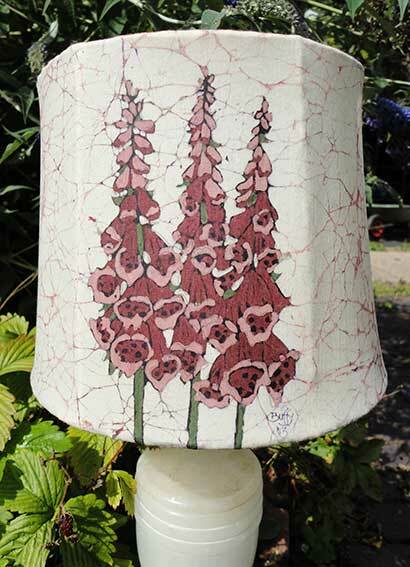 I did this design both as a lampshade and also used it for a small study for framing.